It’s Friday and the start of a holiday long weekend. I have a friend, June coming to stay. June is an accomplished photographer unlike me. My technique usually involves decapitating or otherwise maiming my innocent subjects. When I try to put some clever composition trick to work I usually end up with something farty rather than arty. June and I are going to be driving up the coast where I live taking shots of various sites of historical interest – providing they stay still long enough. What is she on about I hear you ask. Erosion that’s what. 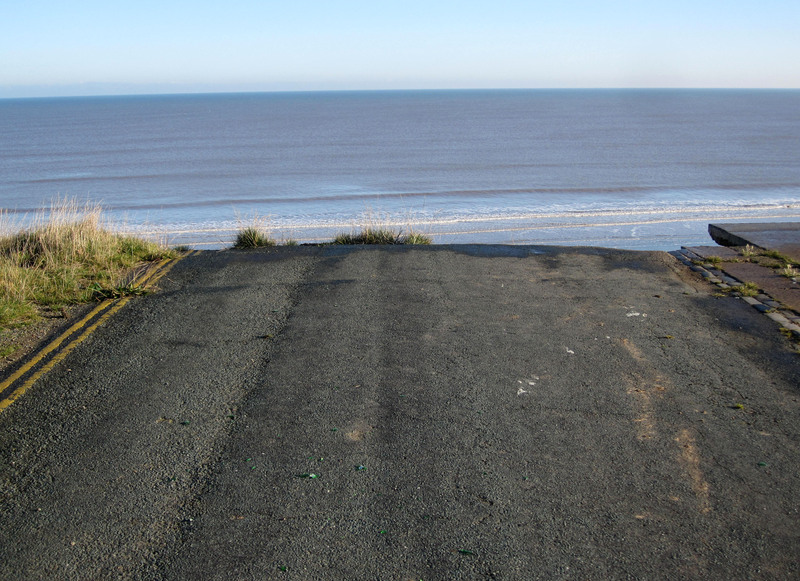 This part of the UK’s coastline is disappearing fast into the sea and taking with it anyone or anything that happens to be on the spot at the time. It’s nothing new. In Roman times the coastline was about 2.5 miles further out to sea than it is now. Clever people at Universities suggest that the coastline will, eventually, get back to its original, post-ice age position. It’s got about another 13 miles or so to go yet. The problem is the soft clay that makes up the cliffs and surrounding land. 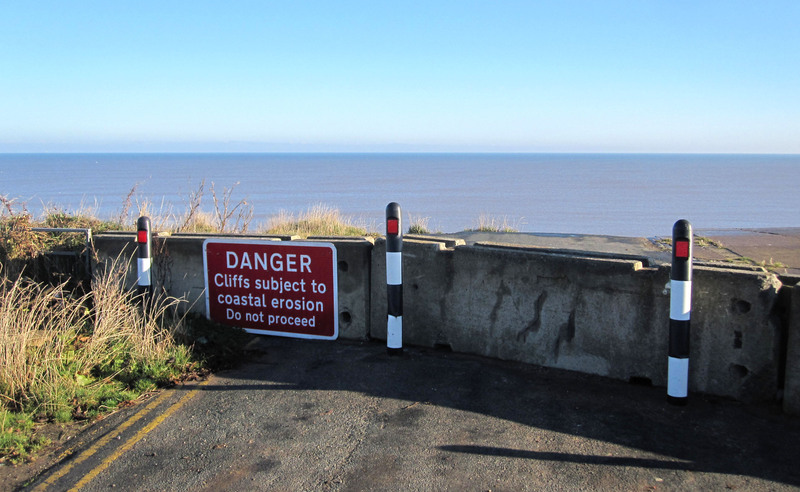 Under attack from both the sea and heavy rain which washes the clay into a soft chocolaty goo, the cliffs sigh, sag and slip quietly into the sea. The history of this area is littered with stories of disappearing villages, church bells tolling out at sea, corpses falling out of cliffside graveyards to find new resting places on the beach below and even some good old fashioned murder, looting and pillaging. So this weekend June and I go in search of all this history – especially the looting and pillaging bit – haven’t done any of that for a while. We aim to capture and record what we can and who knows there may even be a book in it. Have a good weekend and don’t go driving on these roads!